The MF2-6000S (Silver) from Chief is an adjustable floor stand which adjusts from 4-7' and can handle dual flat panel displays back to back up to 50". 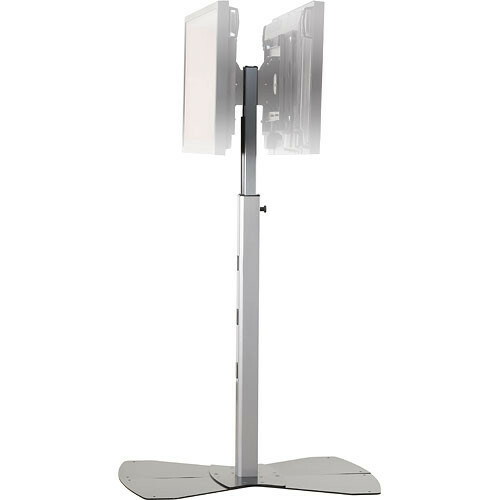 This sturdy low-profile stand is ideal for digital signage and corporate presentations. The integrated cable management hides unsightly cables while Centris technology allows for fingertip pitch adjustments. The MF2-6000S utilizes ClickConnect for simple tool-free installations in portrait or landscape orientation. Box Dimensions (LxWxH) 57.5 x 24.5 x 8.5"